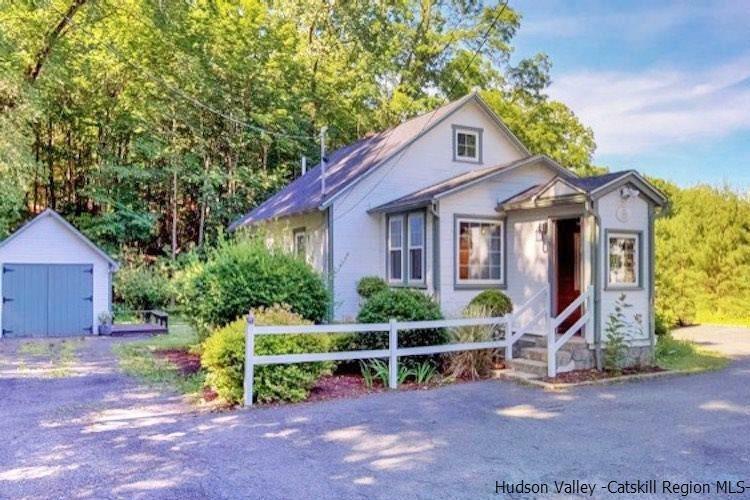 Have the best of both worlds in this Classic, totally updated Woodstock Cottage. Live and/or work in this charming and mixed use property with convenience to all and low maintenance, too. Renovated top-to-bottom while retaining the charm of Woodstock's architectural history: wainscoting; Douglas fir floors; high ceilings and big new windows with streams of light. Residentially zoned with permissible office & professional uses. Additional detached stylish studio/office included with heat and electric. High visibility and ample off street parking. On NYC Adirondack Trailways bus route. Walking distance to Post Office, gourmet deli, restaurants, theater and pilates. Enjoy the best of village life and live stress free at this turn-key property.